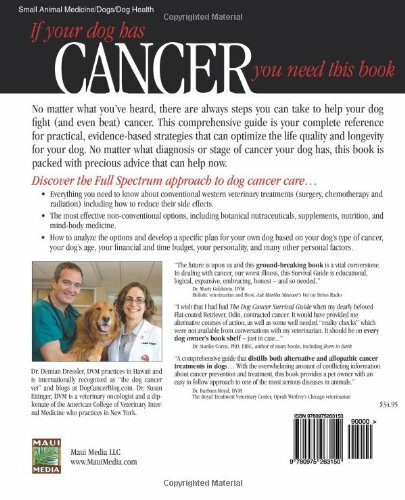 The Dog Cancer Survival Guide: Full Spectrum Treatments to Optimize Your Dog's Life Quality and Longevity is a scientifically researched guide is your complete reference for practical, evidence-based strategies that can optimize the life quality and longevity for your dog. 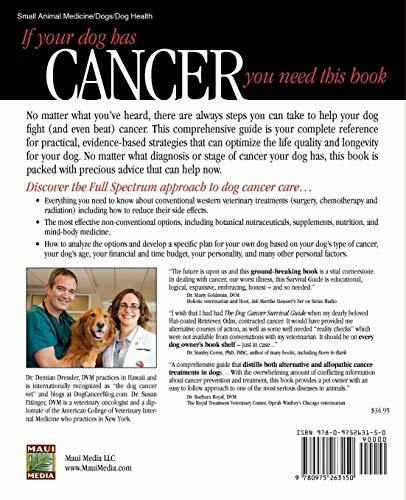 No matter what diagnosis or stage of cancer your dog has, this book is packed with precious advice that can help now. 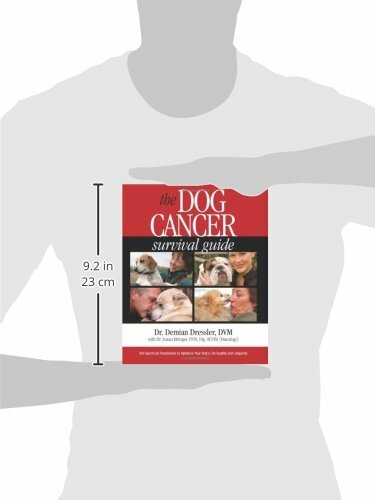 No matter what you’ve heard, there are always steps you can take to help your dog fight (and even beat) cancer. Imagine looking back at this time in your life, five years from now, and having not a single regret. You can help your dog fight cancer and you can honor your dog’s life by living each moment to the fullest, starting now. 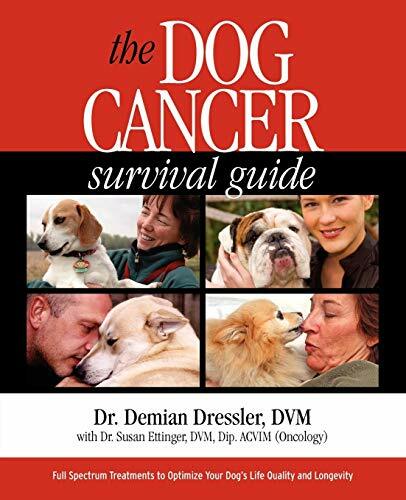 This book can help you as it has helped thousands of other dog lovers. 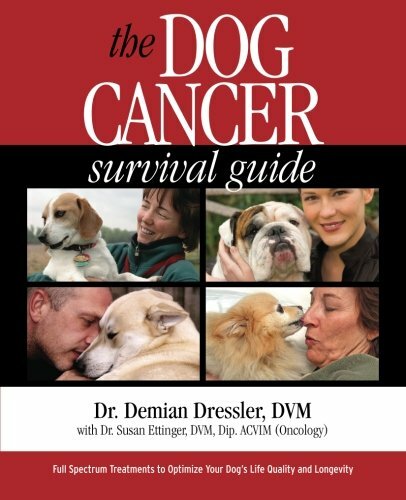 Dr. Demian Dressler, DVM practices in Hawaii and is internationally recognized as "the dog cancer vet" and blogs at DogCancerBlog.com. Dr. Susan Ettinger, DVM is a veterinary oncologist and a diplomate of the American College of Internal Medicine who practices in New York.